The ArchiTech 8" in-ceiling custom installation single point stereo speakers combine the full frequency audio experience of 2 separate audio speakers but in a single space-saving chasis. The SC-822f are the right solution where space is limited but sound quality cannot be sacrificed. 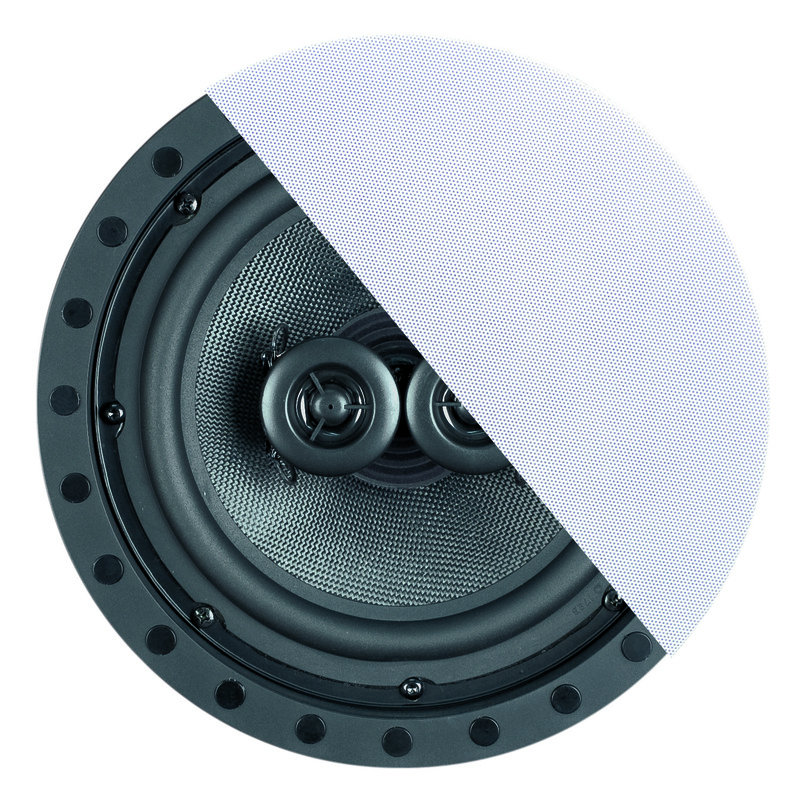 Our ArchiTech Series cones are made from genuine DuPont™ Kevlar® fiber, which is an exceptional choice for high performance woofers. Its incredible strength enables low distortion music reproduction, while its lightness provides great detail and musicality. And it is amazingly durable for long life and environmental stability. Kevlar® is 5 times as strong as steel of the same weight. The SC-802f is the #1 8” In-Ceiling Speaker Solution because of its affordability and reliability. 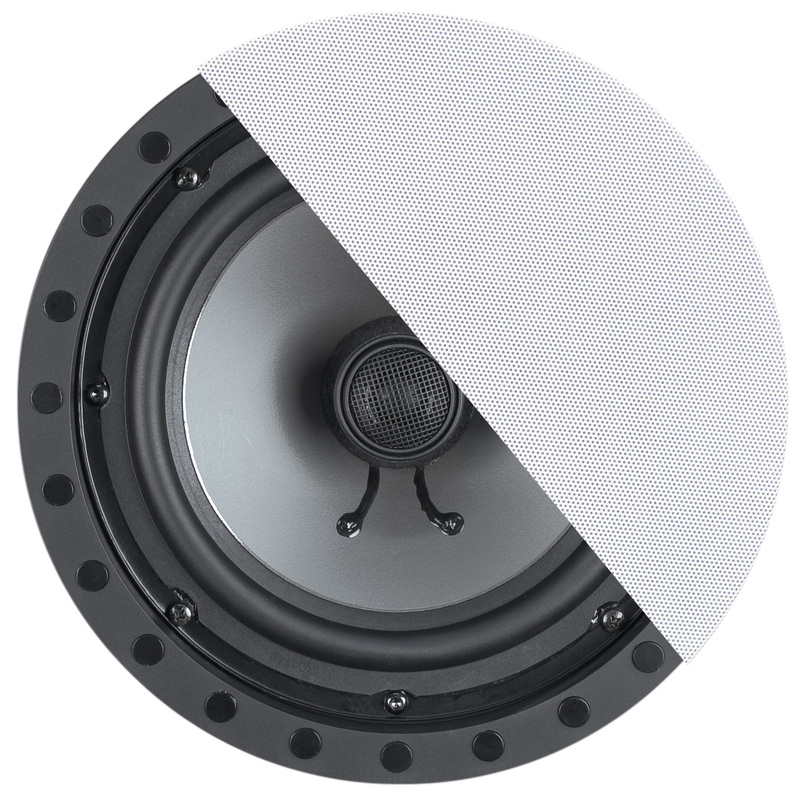 This 8” 2-Way speaker is perfect for Contractors or Builders and includes a sleek, frameless design with ultra-slim 3mm magnetic grille.